We all feel muscle tightness and general stiffness from time to time. Sometimes this can lead to pain, which might cause you to seek professional assistance, but sometimes you just want to release that tightness. 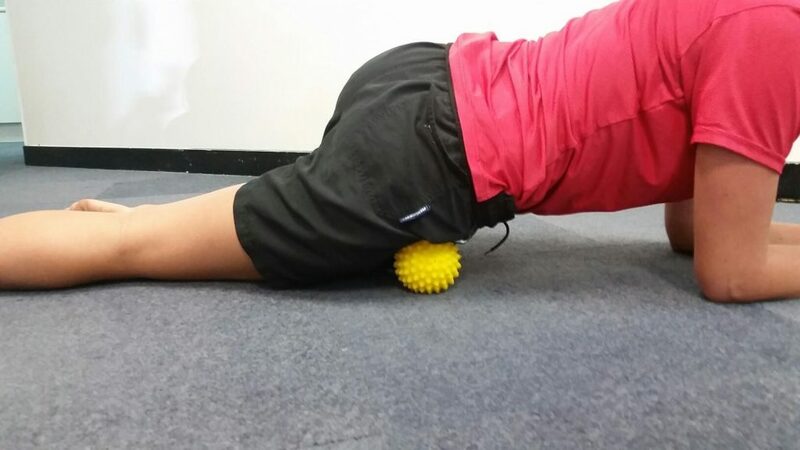 Here are some beginner level releases using either a foam roller or a spikey ball. Give these a try, your body will love you for it. How Does Self Muscle Release Work? Spikey massage balls and foam rollers may feel to some like torture devices, designed by physiotherapists to ensure that you feel pain. But no! They are beneficial tools for self release of muscles and self management of muscle-related conditions. But just how do Spikey Balls perform their magic? Spikey Balls and Foam Rollers work on the muscle and fascia system to reduce tension, reduce pain, increase soft tissue flexibility and aid in injury prevention and rehabilitation. 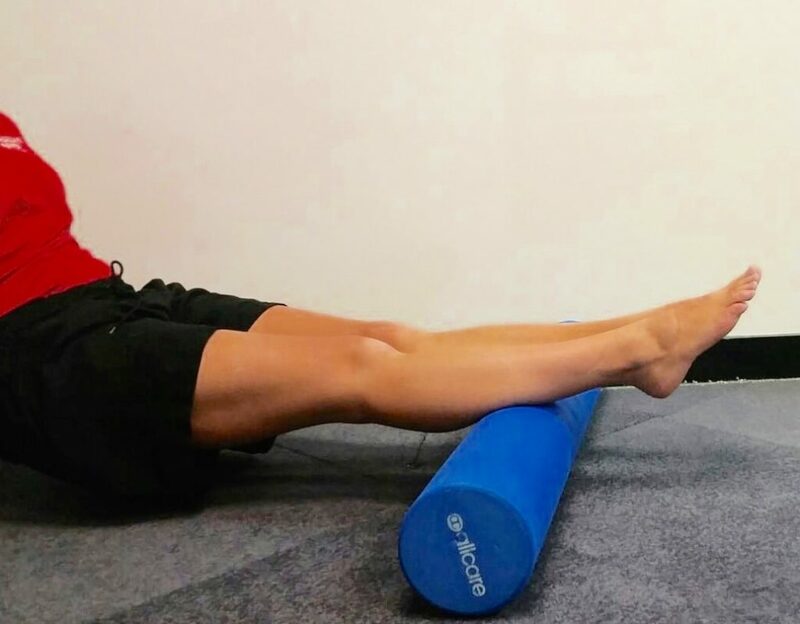 • Using your body weight on the ball/foamroller to apply pressure to a tight muscle allows you to find trigger points in the muscle as a focus point for your release. • Self release allows you to target specific areas of muscle that you are unable to do by stretching. • DO NOT USE your Spikey Ball over an area of recent injury or bruising, or crossing over joints. Standing with your Spikey Ball between your upper back muscles and a wall, use your body weight to roll over the ball applying pressure to any areas which feel tight. If you are interested in more information about the cause of your shoulder discomfort, read here. Lying face down, place the spiky ball under the front of your hip. Ensure that the knee of the other leg is bent and you are supported on your elbows to moderate the amount of body weight through the spikey ball. Gently roll over the ball. 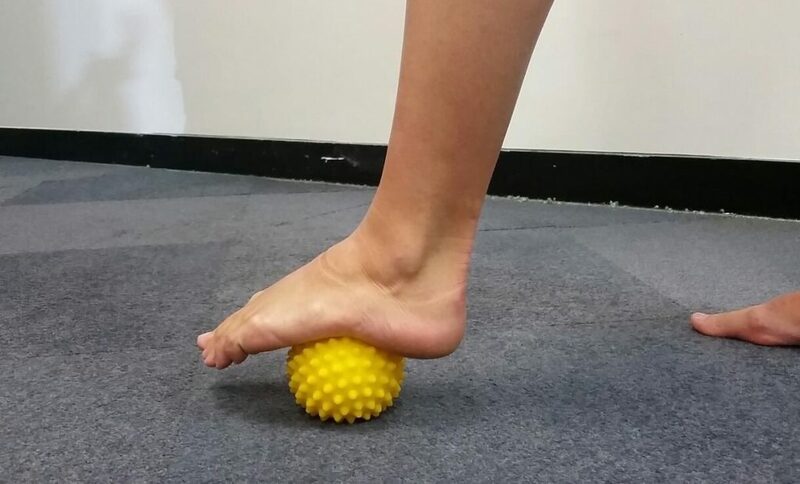 Place the Spikey Ball underneath the arch of your foot and put as much body weight through the foot. Move and try different areas of the arch. After this you can also roll the spikey ball up and down the foot with a firm pressure. You may also be interested in reading more about plantarfasciitis. Lie on your side with your foam roller underneath your bottom thigh and your elbow on the ground to support your body. Roll along the outside of your thigh, but do not cross your knee or hip joint. Lie facing down with the foam roller underneath your thighs. 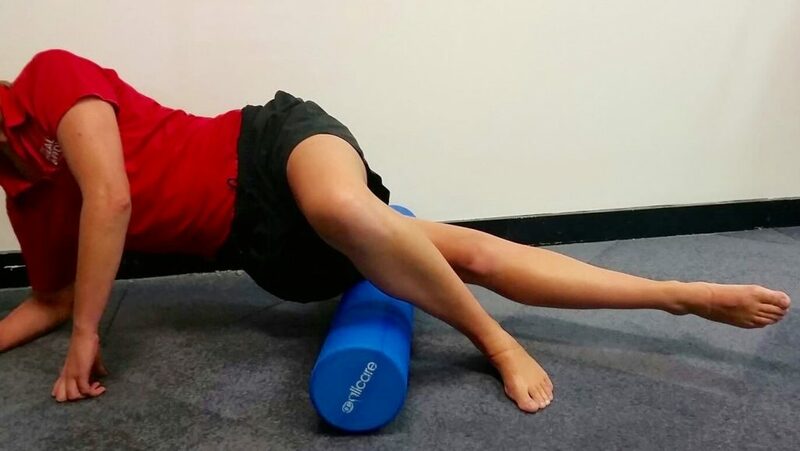 Use your elbows to walk your body up and down the foam roller along the length of your thigh. Do not cross your knee joint. Foam Roller to release the quadriceps. Sit with the foam roller underneath your legs. Use your arms to lift your bottom and roll from the top to the bottom of your thigh. Do not cross your knee or your hip. If you would like to increase the pressure, cross one leg on top of the other. Repeat the technique as above, but with the roller under your calf. Important Note: If you start to experience pain that does not subside or increases following use of the Spiky Ball please do not continue with these exercises until you have spoken with your Physiotherapist. PreviousPrevious post:Concussion – What Should You Do?NextNext post:ACL – How We Can Help Prevent Injury!